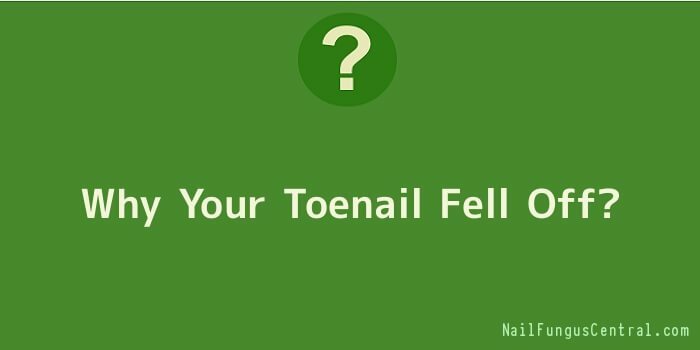 You may have heard someone say, “My toenail fell off”. This is actually a medical condition called onychomadesis which usually occurs after the appearance of Beau’s lines. Beau’s lines generally appear in the central nail plate and moves distally as the nail grows. They are transverse deep lines in the nail which develop due to the temporary arrest of proliferation in proximal nail matrix. Onychomadesis is a severe form of Beaus’ lines in which the proximal part of the nail plate is separated from the proximal nail fold resulting in the nail falling off. The causes of both these conditions which eventually result in a toenail falling off are similar, but problems caused by onychomadesis are more severe. Trauma to the toenail can occur due to repetitive injuries to the toenail during pedicure and onychotillomania, a nervous habit a person may have of picking at the nails. Several dermatologic diseases like eczema, erythroderma and paronychia also cause the nail to fall. Other conditions like high fever, viral illnesses such as hand-foot-and-mouth disease and measles, Kawasaki syndrome and peripheral ischemia results in losing the nail, Using certain drugs like antibiotics, retinoid and chemotherapeutic agents also results in falling of the toenails. For some people idiopathic shedding of the nail has also been reported. Although toenail and foot care is the basic step for the prevention of this condition, treating certain conditions causing the nails to fall is also indispensible. In foot care, trimming the nails regularly helps a lot in preventing the falling off of nails due to any trauma. Minor traumas which occur due to pedicure can be avoided by cleaning your feet and toes at home without using sharp instruments. Limit unnecessary visits to beauty clinics for pedicures. Infectious causes should be diagnosed quickly and treated with suitable antibiotics in time, because toenail loses is a chronic condition in the case of infections. Avoiding use of unnecessary and non prescribed drugs can help a lot in this regard. Toenails can fall off because of heavy trauma or multiple injuries of the body. In this case, the toe is extremely painful and blood continuously spurts out of the skin exposed due to removal of the toenail. These patients are usually managed in the emergency department of the hospitals. Bleeding is stopped with the help of pressure bandages and intravenous analgesia can be administered if required. If your toenail fell off due to an injury it will generally grow back without any problems.